Posted September 21st, 2017 by Lillian Price & filed under Dental Care. Posted September 21st, 2017 by Lillian Price & filed under Dentistry. Posted September 19th, 2017 by Lillian Price & filed under Dental Care. Posted September 18th, 2017 by Lillian Price & filed under Dentist. Posted September 14th, 2017 by Lillian Price & filed under Dental Care. Without teeth you couldn’t chew your food before swallowing, your smile would be less than stellar, and your face would have a sunken in appearance. The leading cause of tooth loss is periodontal disease. It is a condition where the gum tissue becomes inflamed due to infection caused by bacteria. Click here for more information. Posted September 12th, 2017 by Lillian Price & filed under Dentist. When you move to a new city, one of the first things that you should do is find a new family dentist. Having regular dental care can not only preserve your teeth but it is also important for your overall health. Here are three tips for finding a new dentist where you live. Posted September 12th, 2017 by Lillian Price & filed under Dental Care. Dental surgery doesn’t sound like anything you’d volunteer for, but sometimes dental surgery is necessary to keep your teeth and gums happy and healthy. 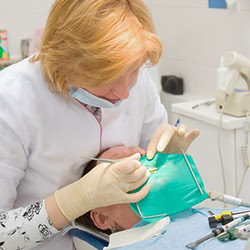 Dental surgeries can range from removal procedures to implanting procedures. While surgery is never the first option, it can be the best option in cases where damages or infection are severe.